The Fall has arrived and we are well on our way into the semester. It seems like just yesterday that I was moving out here to Boise and starting my internship. Now I have been on campus for a year and this second year has started off smoothly. Having experience under my belt I have been able to meet with more students inside and outside of our regular group, build relationships with new students, and start leading a Bible Study surveying Christ in the Old Testament using the Jesus Story Book Bible as a tool to help understand passages that are hard to understand to many people. If you haven’t heard of the Jesus Story Book Bible, I highly recommend it to everyone! The Author does a great job making key stories in the Bible clear and relatable to everyone and is a great way to introduce the Bible to kids but also a great tool for adults to use along side their daily Bible reading. So far this year we have held our annual Picnic in the Park Event, feeding and serving over 200 Freshman on campus the weekend of move in, started our Community Group Bible Studies, and are on our way to our Fall Retreat in McCall Idaho. Our fall retreat is always the highlight of the fall semester as it is a great time away from campus, a way for our students to meet new people and build relationships with each other that would otherwise would have been made. Pray that we are able to connect with some of the new students in the group and that it will be a fruitful time of learning and a restful time of hanging out with friends. Please be Praying for me and my finances as I have had a few unexpected expenses this Fall. Also, prayfully consider supporting me financial in my ministry. 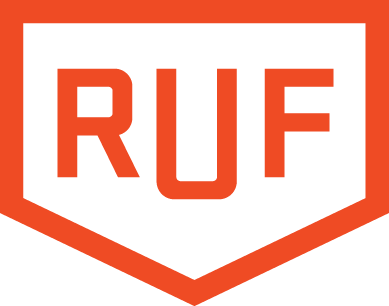 I need roughly $2000-$3000 over the next few months to be funded through the end of my internship with RUF. You can easily give Tax Deductible Gifts online by CLICKING HERE. Thank you so much for your prayer and support!